Apply 3-8 flowing coats to leather hard or dry, smooth, clay. Allow to dry and polish with a soft cloth or chamois. Fire to any temperature you like but the shine is best around Cone 017 (1450F). ). Anasazi Sig will turn Orange over Cone 3. Below that it is a light Terra Cotta color. 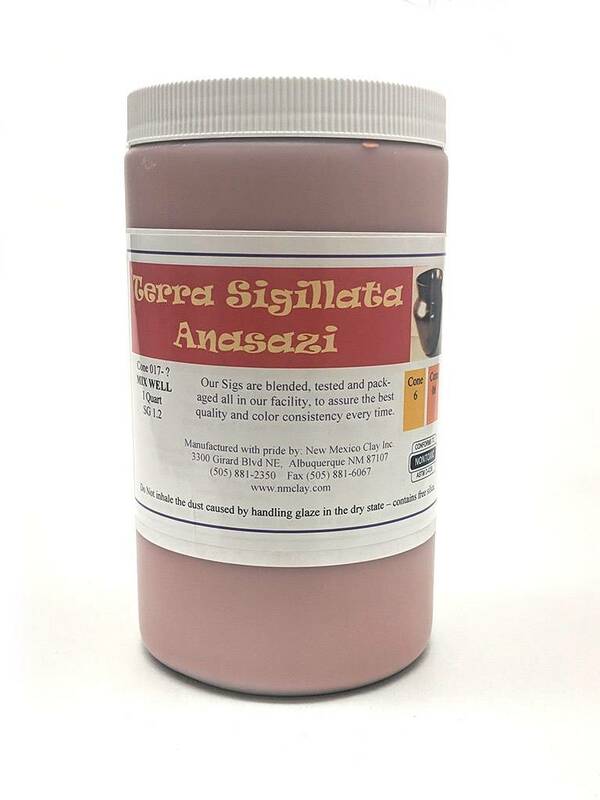 Anasazi Terra Sigillata is a very refined clay slip, it is usually polished to a high sheen and low-fired. Apply 3-8 flowing coats to leather hard or dry, smooth, clay. Allow to dry and polish with a soft cloth or chamois. Fire to any temperature you like but the shine is best around Cone 017 (1450F). ). Anasazi Sig will turn Orange over Cone 3. Below that it is a light Terra Cotta color.